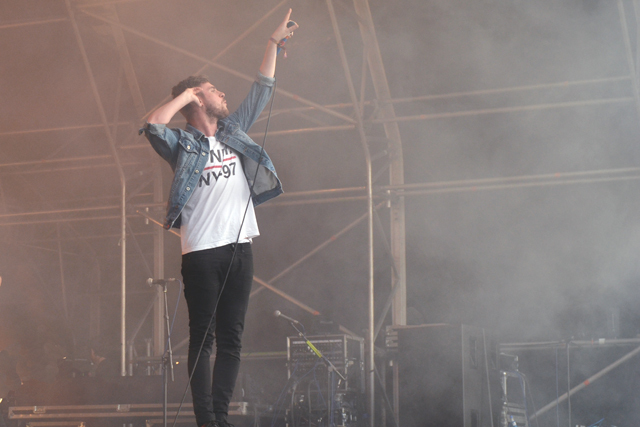 As you may have seen last week, I was invited to 2000 Trees festival near Cheltenham and have just returned from an amazing weekend. 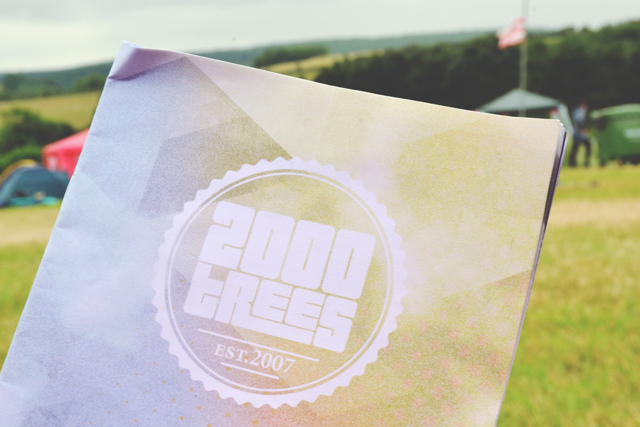 For those who don't know, 2000 Trees is a small festival which mainly hosts upcoming and underground British rock bands. We were very lucky with the weather, so I didn't even need to wear the wellies I'd packed! We arrived on Friday afternoon to glorious sunny weather. After pitching our tent, we took a walk down to the main bar where I met one of the organisers, the very lovely Rob, who took me on a tour of the site in a buggy. As he drove me around, Rob told me all about the history of the festival and little facts about the site. 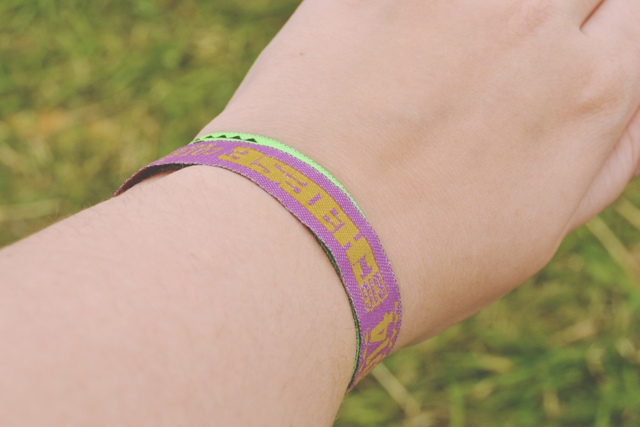 Another couple of festival wristbands for my 10-year collection! After meeting Rich back at the bar, we looked around the stalls in the market area. 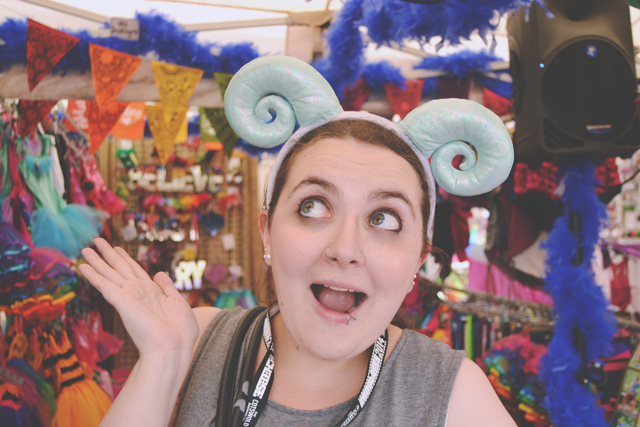 I cannot tell you how much I wanted this ram headband from Fairy Love! 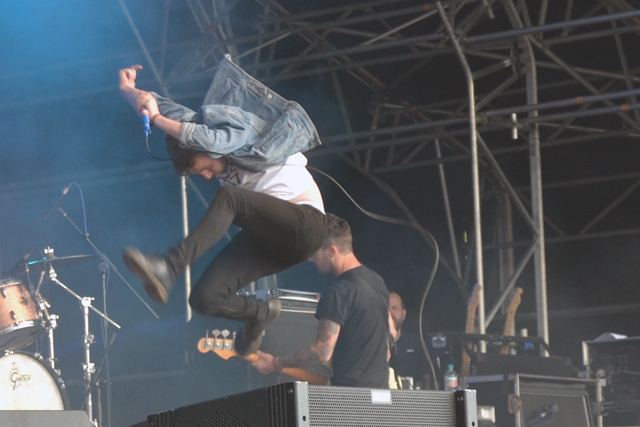 I was really excited to see Kids in Glass Houses, another band from the fertile musical ground of South Wales, and they didn't disappoint. 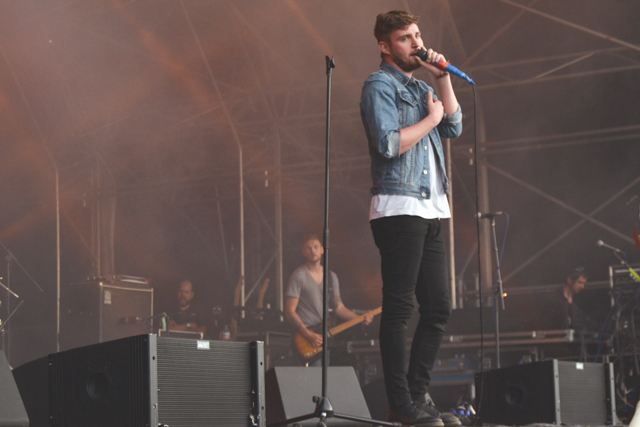 Vocalist Aled Phillips whirled and leaped around the stage like a little tornado of energy as he brought his signature breathy vocals and rousing chants to the festival. 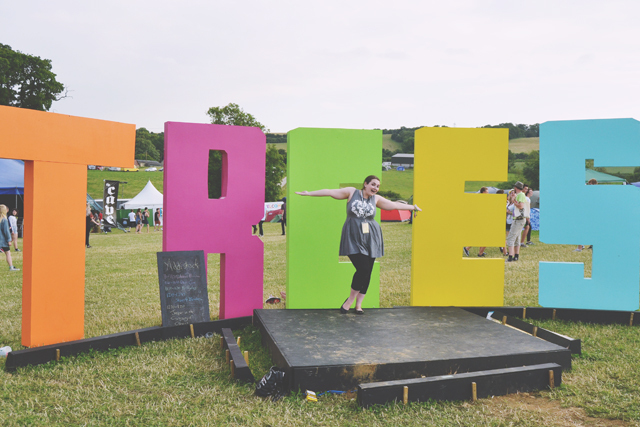 One of the many great things about 2000 Trees is that it's a very small festival with a capacity of just 5000, so it's pretty much always possible to get to the barrier. 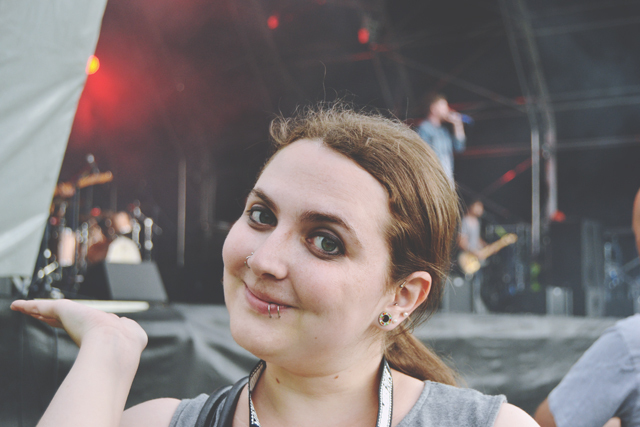 Everybody's really considerate and there's no barrier-hogging: Between sets, you're likely to find that it's completely free, meaning you can get right up there at the front for your favourite bands. The above photo was taken on my camera by the awesome Charlie Koncher who, as well as being a great photographer, is also a really nice person. Check out his work- It's amazing! Just look at the photo below, from his Flickr page. Partying at the front is thirsty work, so we headed to the back and watched the rest of the set with a cup of sparkling elderflower. I don't think I should even tell you how much of this I drank over the weekend. In fact, I loved it so much that I bought a bottle of cordial to take home with me. It's delicious! 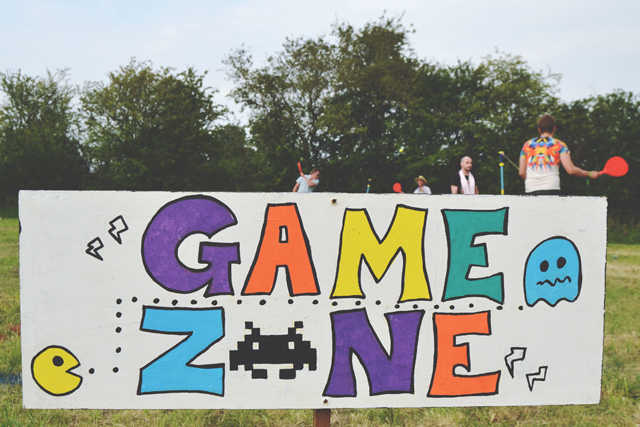 At the back of the main stage area (each stage is contained within its own section, bordered by food traders, which creates a really intimate feel), there was a game zone, where you could play the likes of Swingball and Giant Twister. This podium, and the one up there in the second photo of this post, is a busk stop. 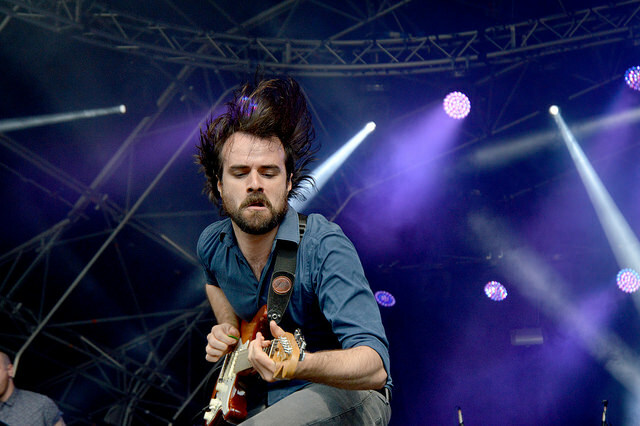 The idea is that anybody can get up at any time and play to a festival crowd. You don't need to apply- Just grab your instrument and get playing. I was introduced to some really amazing acts this way, but more on those tomorrow! 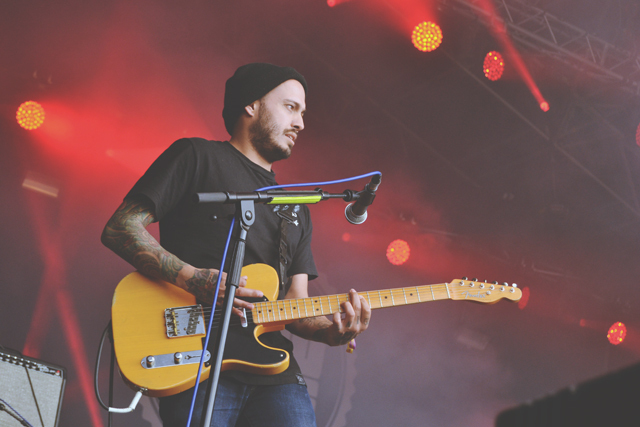 Probably my favourite thing about 2000 Trees is the sense of community. The organisers have really worked hard to foster a community spirit, which is really successful. Rob told me about "bumpability"- the concept of seeing the same strangers over and over again. I certainly noticed this and bumped into a lot of people repeatedly- especially the girl with the pink fishnets and Kermit backpack! 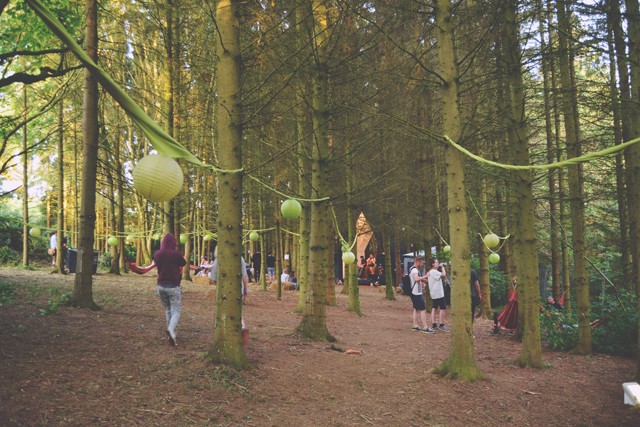 Another way this intimacy is created is through the use of dedicated fandom camps: Camp Turner and Camp Reuben are places where fans of each act can congregate and each have their own busk stop. 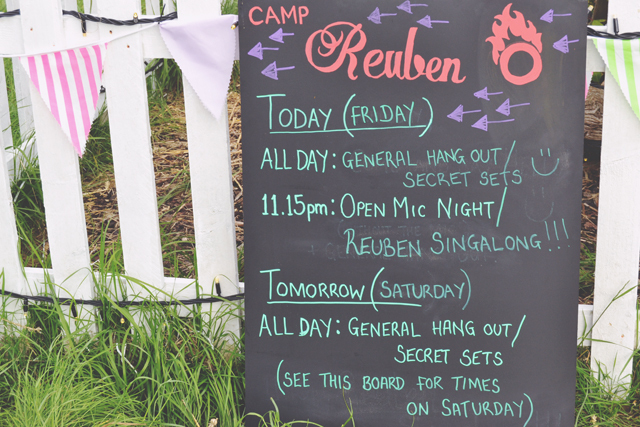 In fact, Camp Reuben has its own stage and books acts to play throughout the festival. The entire site is just 1km in length, so everything is in really easy access. We camped towards the back of the site and it only took us 3 minutes 27 seconds to walk to the main bar and smaller stages, and 6 minutes 33 seconds to the main stage. (Yes, I timed it- It also took us just over 8 minutes to walk from our tent to the site entrance in order to get our taxi on the last day. None of this trekking for miles business!). In addition to the impossible ease of getting around, the campsite was fairly large, so there was loads of space around the tents. It was also quiet at night. As I said, everyone was really considerate so there was no rowdy cheering at night, and most people threw their rubbish in the many bins provided. 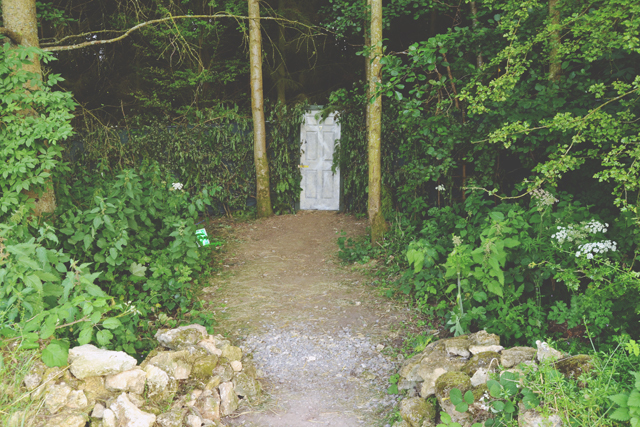 A quick note on the toilets, since they're very important at a festival: I have never been to a festival with such amazing toilets. They were standard portaloos, but were cleaned all the time and constantly well stocked with both toilet paper and disinfectant. Amazing! 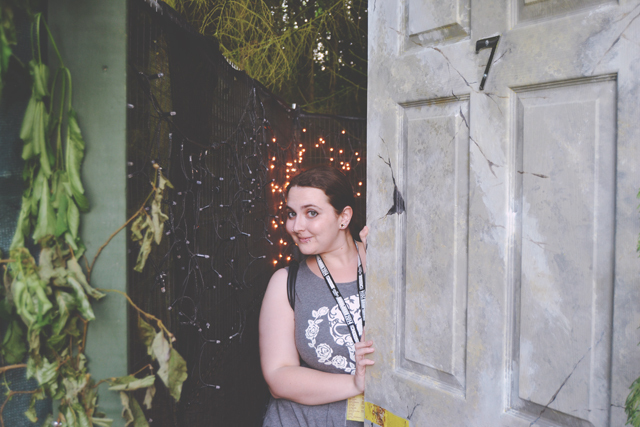 All around the site, there were little secret places like this: Room Number 7. An awesome, shady chill-out zone with another busk stop. This guy busking was great- I loved his acoustic cover of Abba's Dancing Queen! 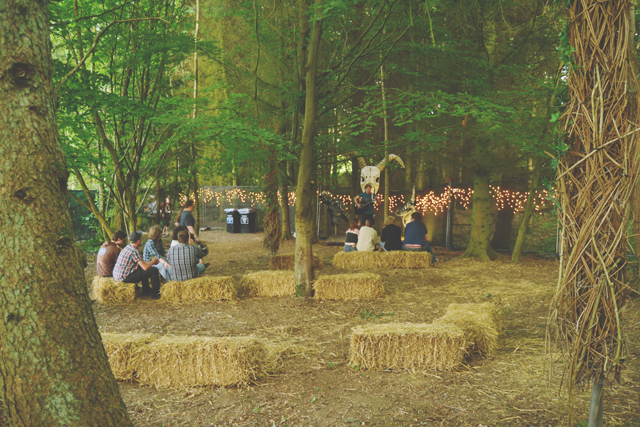 Just around the corner from Room Number 7 was The Forest, where bands played more informal sets in the serene surroundings. 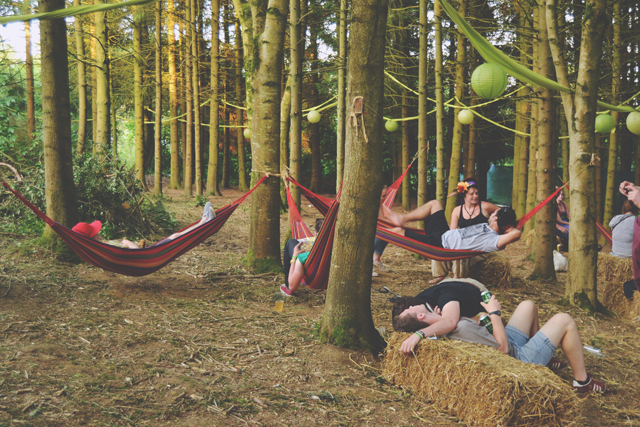 There were hammocks! What's more relaxing than a hammock? Nothing, I tell you! (Although I missed out on them every time we went in The Forest). 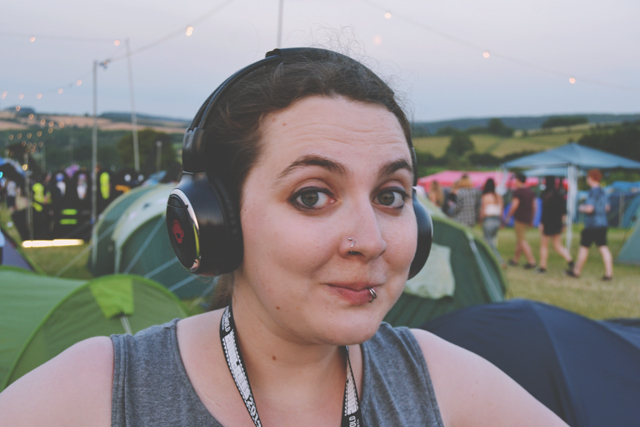 We ended our day with a trip to the silent disco, although I decided I wouldn't need my camera. Boy was I wrong! Of course I learned from my mistake and took it with me on Saturday night, but you'll have to wait to see those photos. I really wanted to go to this - so glad you had a good time! 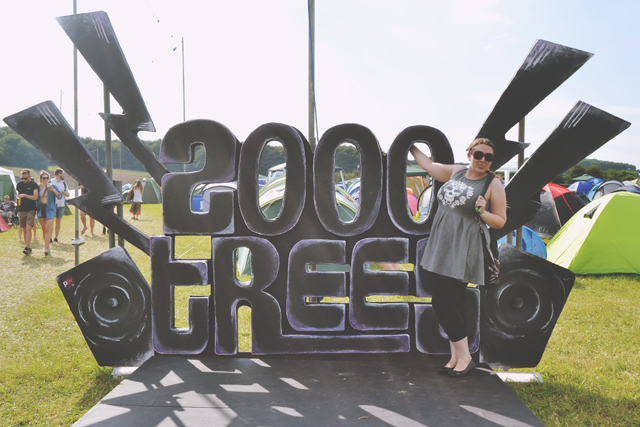 Most of my favourite bands have been at 2000 Trees for the last few years but I've never managed to get there. 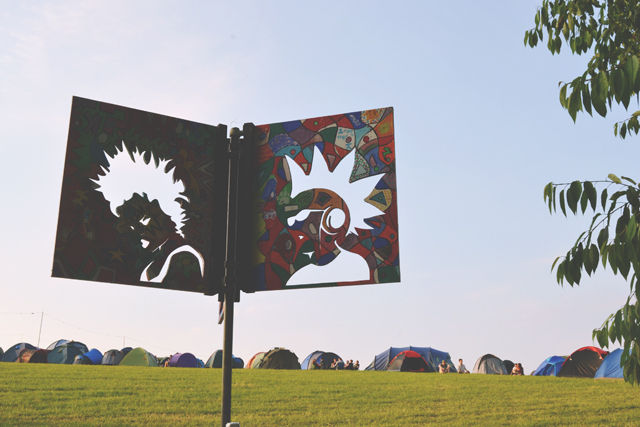 Your pictures look amazing, will definitely have to try and go next year! I really recommend it. I had a fantastic time! This was my first one and I LOVED it! Looks like you had a great time. It was the same at the festival Kris and I went too, everyone was nice and considerate even though there were 60,000 people and between acts everyone would move to get water and you could get to the front for your fav artists! Although I think I prefer being close but still in the crowd :) Can't wait to hear more! This is what it was like at Madrid too. I thought it was just a Spanish thing so I was really impressed that people did the same thing here. The number 7 room looks amazing! I can't imagine how surreal it all must have felt! That was one of my favourite parts of the site. 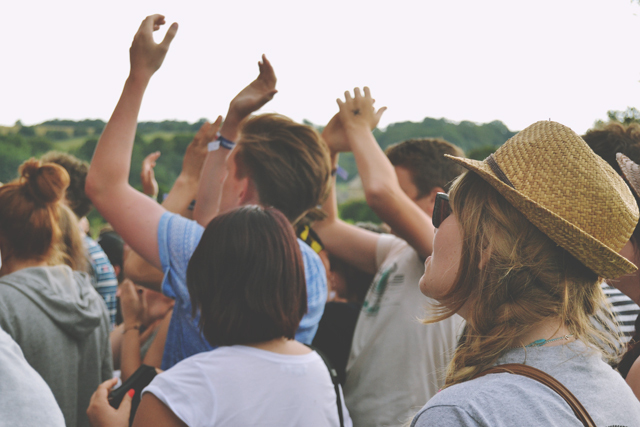 Yep, this definitely sounds like your sort of festival! 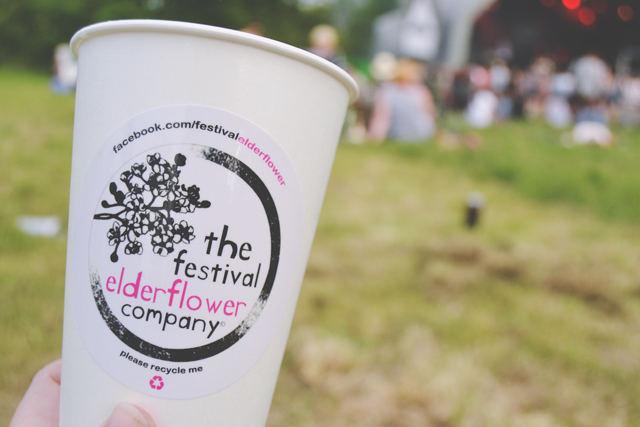 All the rubbish things you associate with festivals are eliminated. 8 minutes from camp to the pick up point?! That sounds like heaven! I hate Downloads 4937425972 mile walk every year haha. It sounds like you had a proper good time! I might have to check it out next year! Download is the worst! And the blooming 2845827mile walk to get from the campsite to the arena. 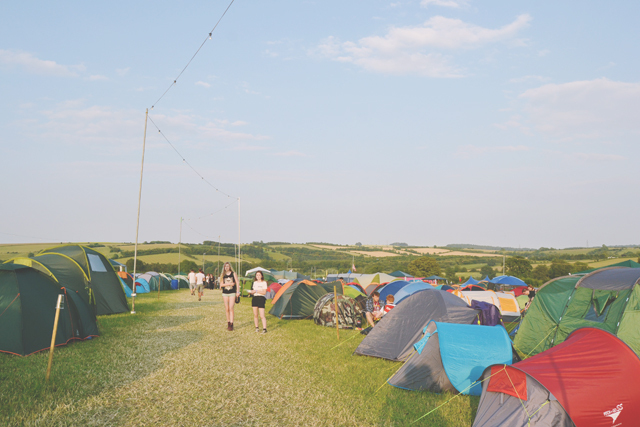 At 2000 Trees, there was a campsite right opposite main stage. Like, you'd literally walk 30 seconds and be in the main arena. Looks like a great atmosphere. I wish I could have gone this year but couldn't because of work. KIGH are a great band - such nice, genuine guys too. Shame they're splitting up! Such a shame you couldn't make it. It's sad about KIGH- they're great. I had an awesome time as usual, I've been a few times now and it just gets better every year. The silent disco is the best part of it, the singalong in The Cave to Kelly Clarkson and Frozen made my weekend!! I'm glad you loved it too. The silent disco was amazing! I think my best bit was singing Spandeau Ballet haha! 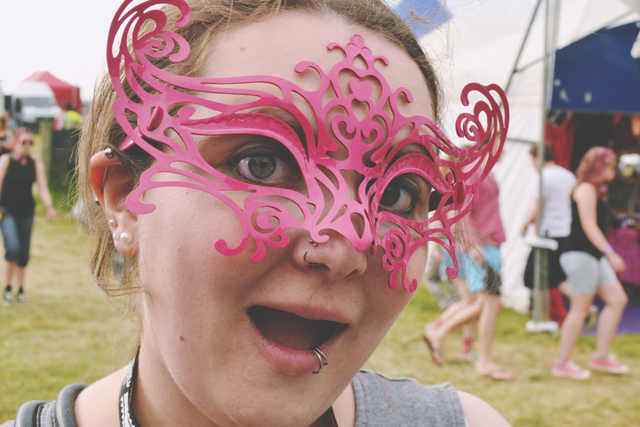 This looks like such a fun festival :) I love your blog and I have followed you with Bloglovin, if you ever get a chance to check out my blog I would be delighted, thanks! Oh wow, I've never been to a festival but I think this is one that I'd choose to do first! It's only actually around 3 hours away from me... Not too bad aha! Looks like you had a brill time. I really recommend it for a first festival. It's such a lovely experience. You should have said hello. How weird that I got a photo of the girls you went with!